Our mission is to protect and enhance life through excellence in eye care. 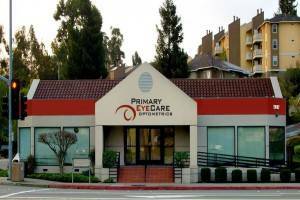 At Primary Eyecare Optometrics, we’ re committed to providing the finest full scope vision and eye health care available. It’ s the same commitment Dr. Leonard Osias started with over 50 years ago. From instrumentation and techniques to this web site, we believe in utilizing state-of-the-art technology in our practice. Employing the highest quality materials and professional staff, we serve the eyecare needs of people of all ages. Education is a major component of our practice. In June 2011, we made the commitment to move our practice from San Lorenzo to our new location in Castro Valley Blvd. This new state-of-the art facility will allow us to provide the best care for our patients. An organization is judged by the services it provides and the the people who comprise it. That’s why we’re proud of our practice and our employees. Please take the opportunity to meet them.